HAVIT is a PC peripherals manufacturer originating from China. Although the brand name may not be very well known in North America and Europe, HAVIT was founded back in 1998, making them one of the most experienced manufacturers in the peripherals market. Experienced as they are, the company’s designers and engineers are trying to bring innovative and unique products into the market rather than copying established designs and hoping to compete in terms of availability and price. Among other things, HAVIT designs and produces mechanical keyboards. When the company approached us to offer us samples, the design of one particular mechanical keyboard caught our attention. 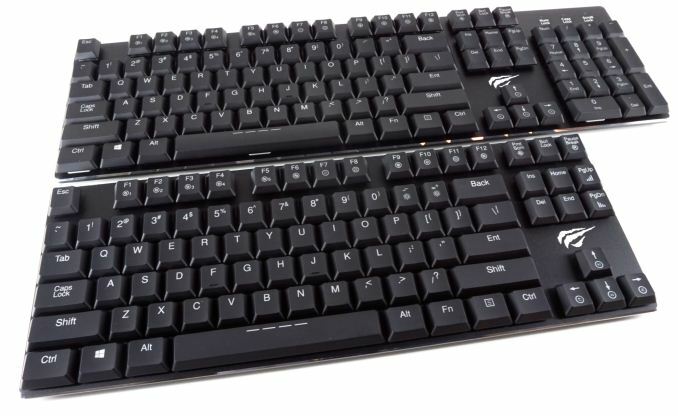 That keyboard was the KB395L, an extra-thin mechanical keyboard with low-profile switches. 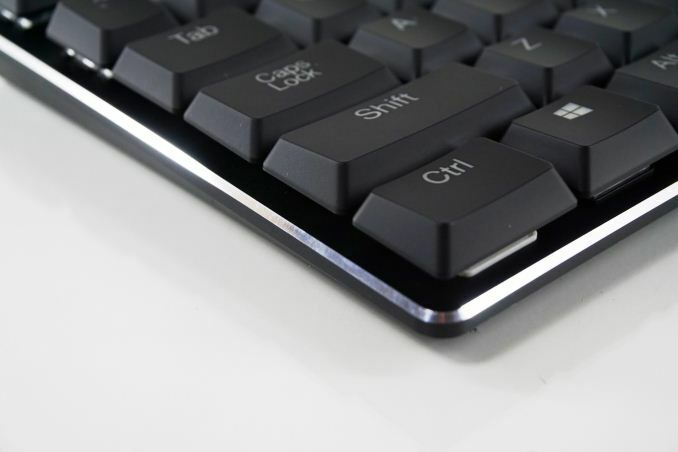 This is not the first low-profile mechanical keyboard that we have reviewed, not even the first one that uses low-profile switches from Kailh, but Kailh’s newest switches are even shorter and, supposedly, more comfortable that any currently available design. The packaging of the KB395L is minimalistic, with a black cardboard box partially covered by an exterior white wrapping. 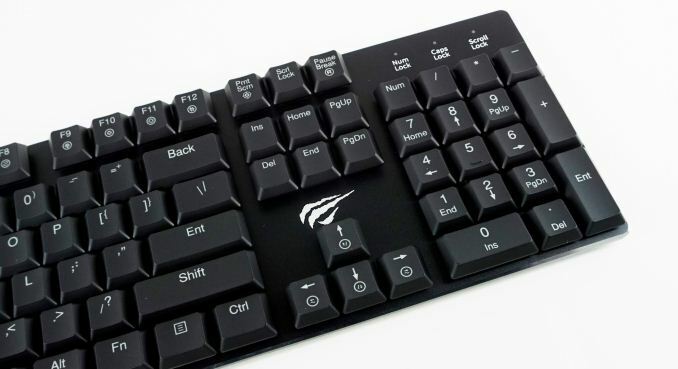 The white wrapping lists the basic features of the keyboard and has a picture of it printed on it. Despite its size, the packaging should provide ample shipping protection to the lightweight keyboard. Inside the box we found nothing noteworthy bundled alongside the keyboard - not even a keycaps puller. 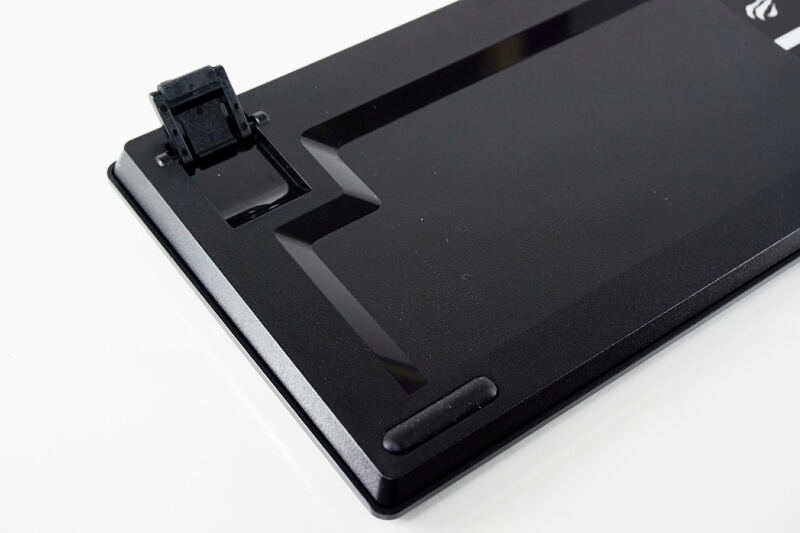 Even with its very low height, an experienced user can easily tell that the HAVIT KB395L is a mechanical keyboard. It is a very minimalistic design, with plain surfaces and clean, rounded edges. Only a polished chrome trim along the edge of the keyboard slightly stands out. The dimensions of the KB395L have been reduced to the minimums possible without changing the layout, with the frame of the keyboard ending almost right after the outermost keycaps. The USB cable is removable and connects to a common micro-USB connector at the rear right side of the keyboard. We received the US layout version of the KB395L. It is a standard 104 keys keyboard that fully adheres to the ANSI layout. The bottom row of the keyboard has a 6.25× Spacebar and seven 1.25× bottom row keys. The only difference here is that HAVIT replaced the right Win key with an Fn key that is used to access the keyboard’s advanced features. HAVIT also markets the KB390L, a tenkeyless version of the KB395L for those that want to save up even more space. The keycaps are made from ABS plastic and have normally sized characters printed on them. Both of the primary and the secondary character is printed at the top of each keycap, allowing both of the characters to be visible once the LED lighting is on. The secondary characters are positioned peculiarly, as if they are superscripts of the primary character, which may be confusing for a few people. There are no extra keys on the HAVIT KB395L. The very few advanced functions that the keyboard has available by default are accessible via keystroke combinations using the Fn key. Practically, that is limited to just backlighting control, as nearly all of the combinations involve switching between different backlighting effects and tweaking their playback speed, color, or number of backlit keys. The only keystroke combination that does something different is Fn + Print Screen, which disables the Win key (also marketed as the “game mode”). There are no keystroke combinations for multimedia functions, volume control, or anything else for that matter. The HAVIT KB395L has two rear legs that with a single fixed setting. The tilt is reasonable and the grip of the rubber anti-slip pads is very good, especially considering the very low weight of the keyboard.